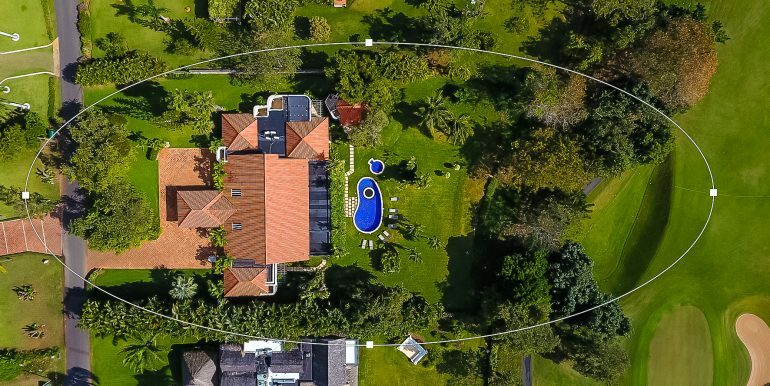 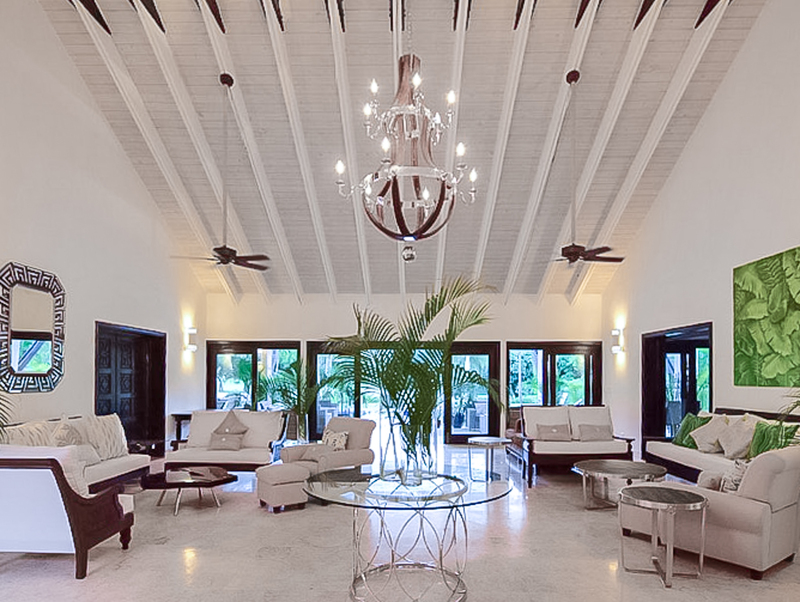 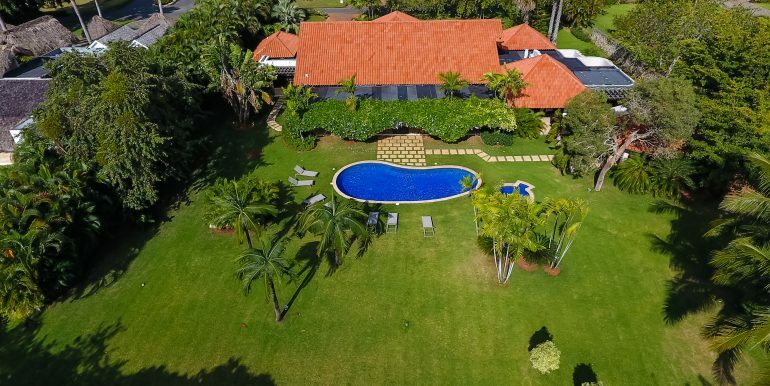 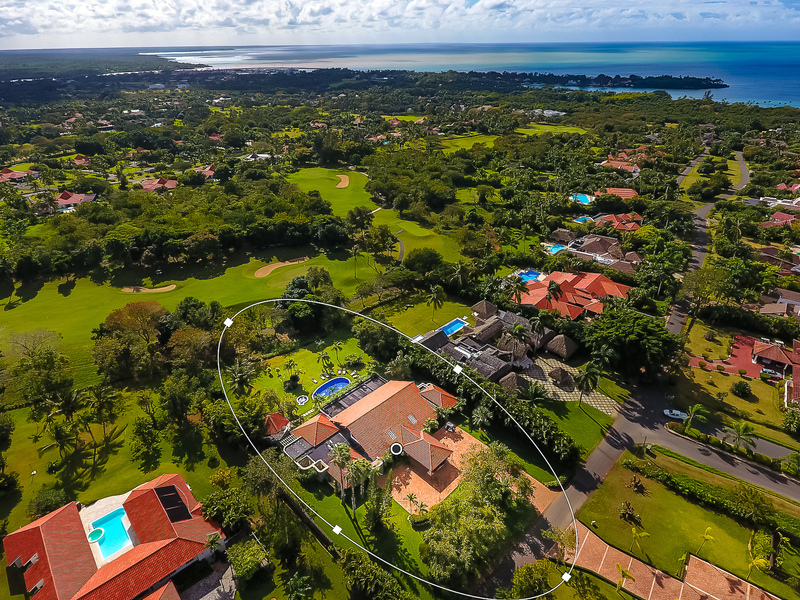 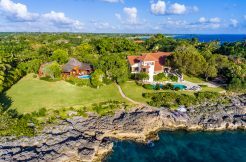 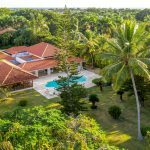 Los Mangos 18 is located in the exclusive Casa de Campo Resort on the south coast of the Dominican Republic, with amazing views of La Romana Country Club golf course and nearby private Minitas beach. 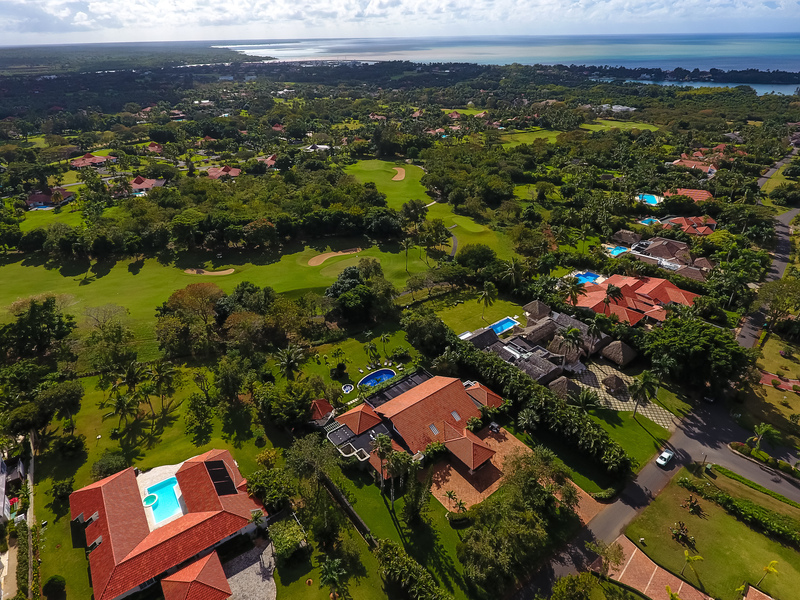 It is also a dream destination for golf enthusiasts . 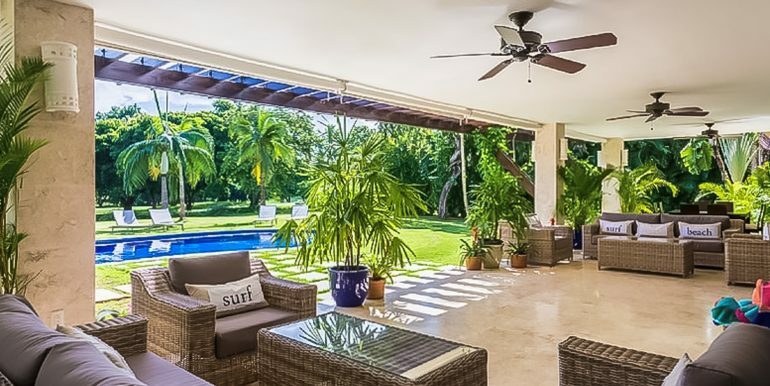 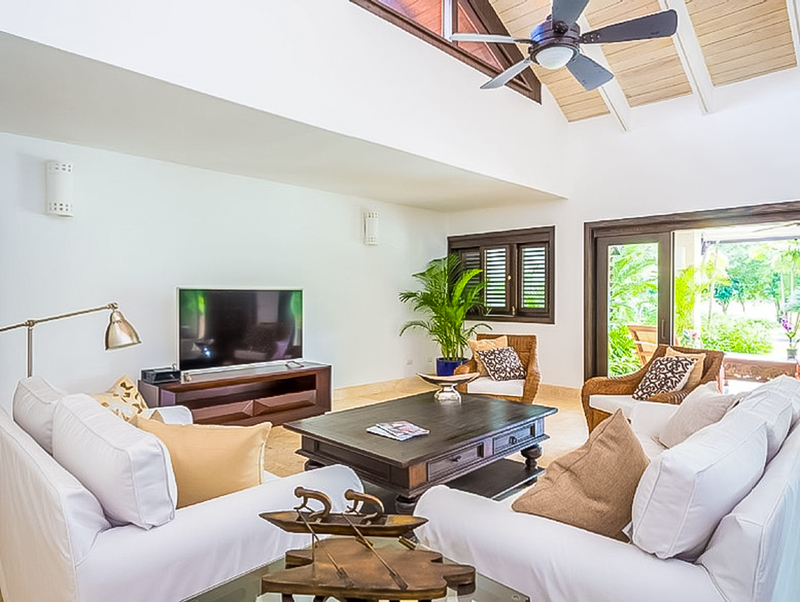 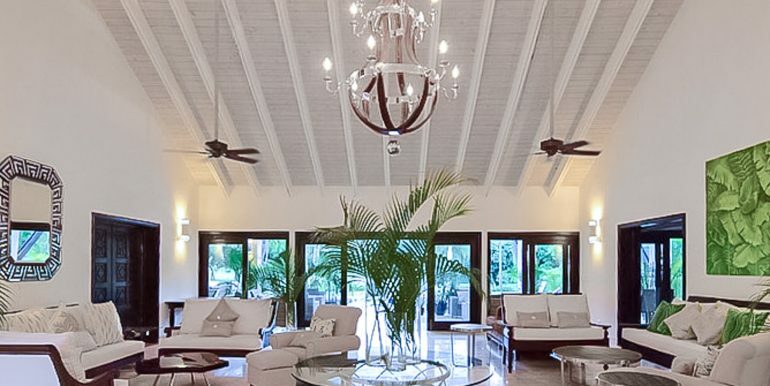 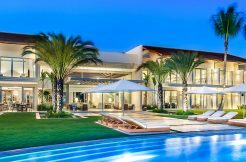 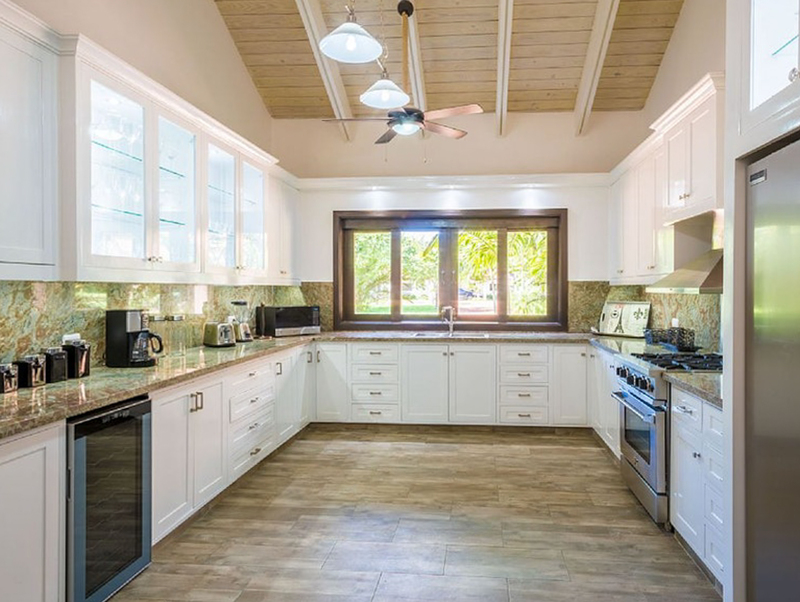 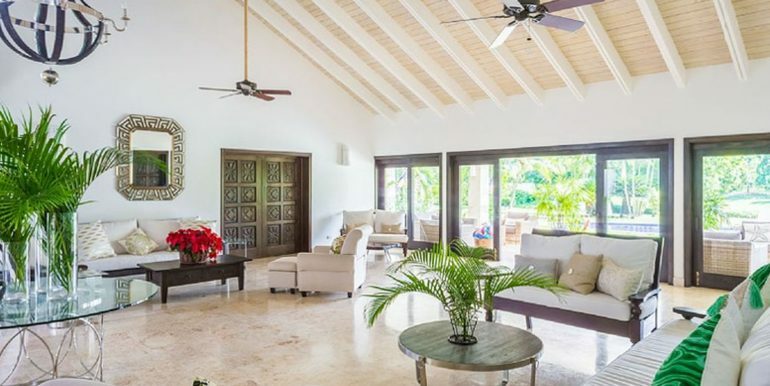 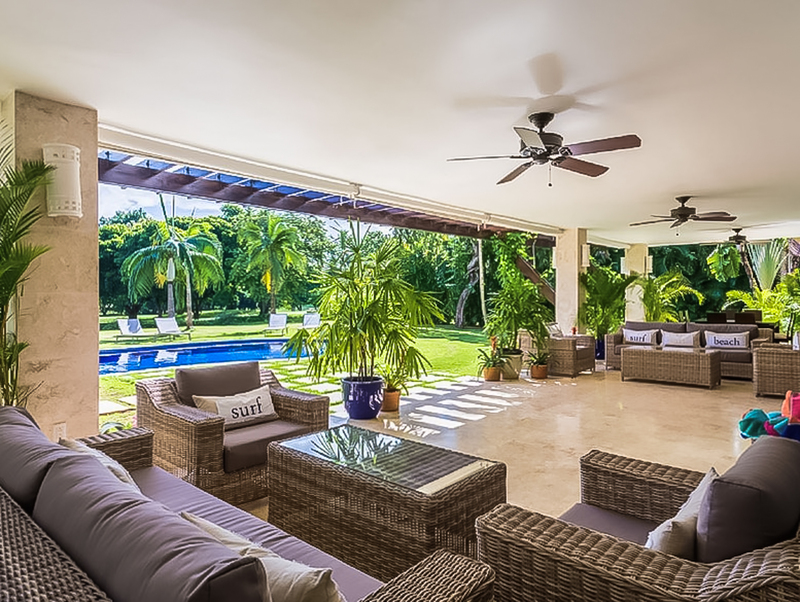 Harmoniously combining elements of modernism and local Caribbean architecture, this six-bedroom villa captures the best in indoor/outdoor living. 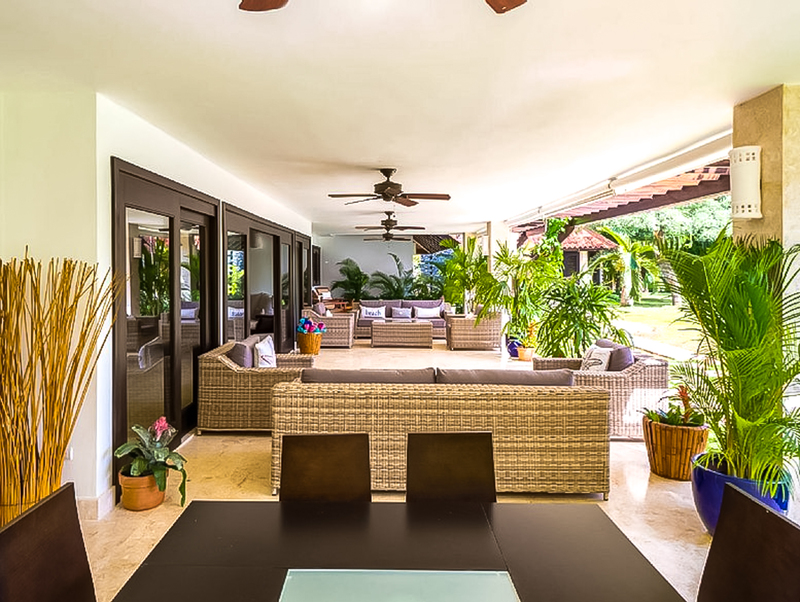 In the main sitting area consists of a large living room , an air conditioned dining area and tv area ,which open onto a covered terrace. 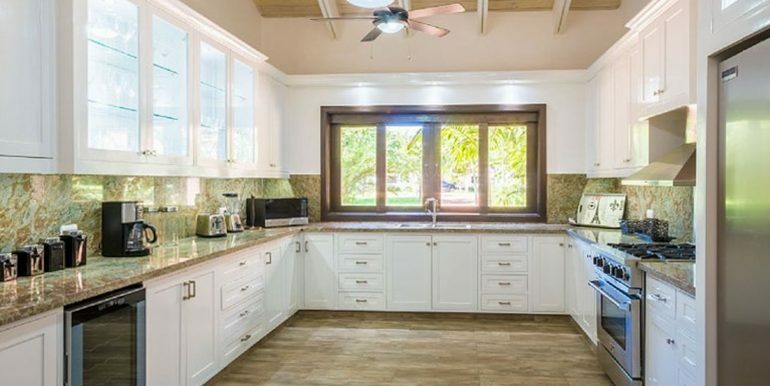 Ideal for large families . 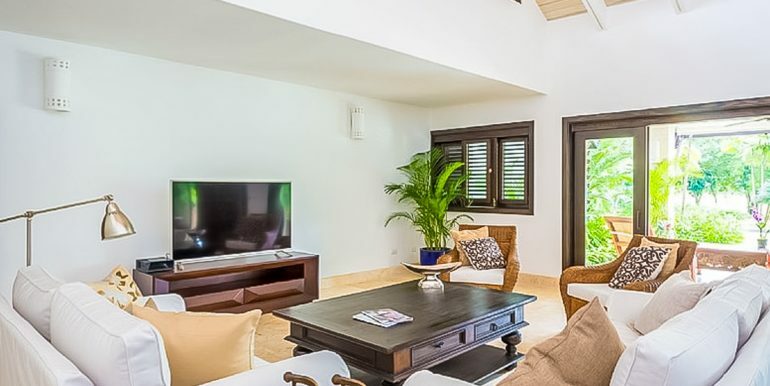 All bedrooms have air conditioning and TVs, including four master suites. 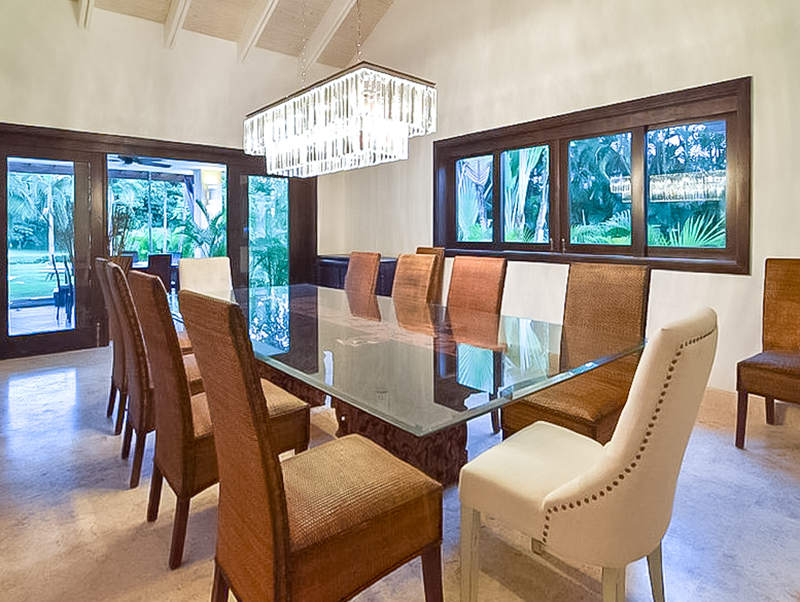 It’s decor is light yet elegant. 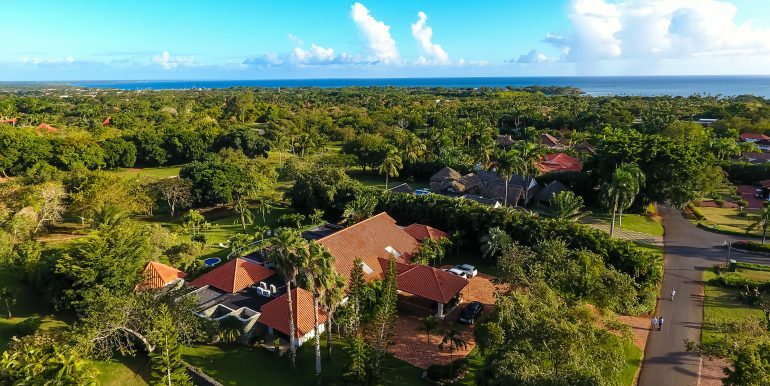 Sleeping up to twelve guests , villa Mangos offers a choice of beautifully appointed bedrooms with en-suite bathrooms, air conditioning and ceiling fans. 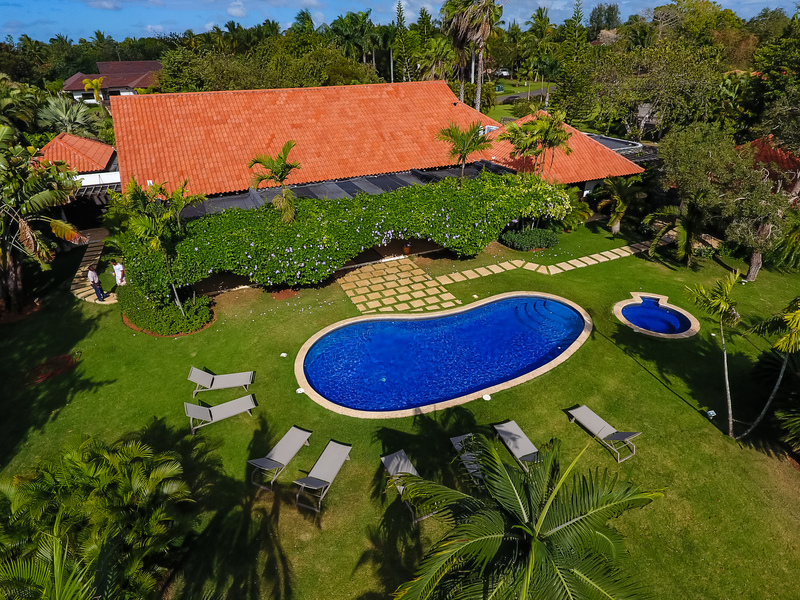 One bedrooms with two queen sized beds , four bedrooms with one king size bed each and a sixth bedroom for children featuring two twin size beds . 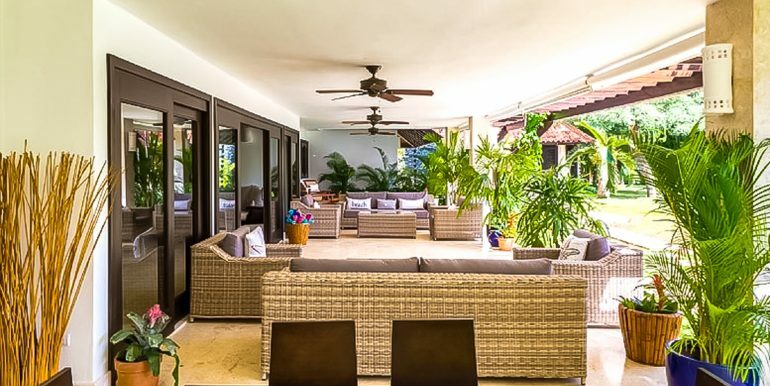 You and your guests will love the social atmosphere on the terrace right next to the pool, it has large sofas, lounge chairs and a dining table for 8, allowing you to enjoy long, leisurely meals in the cool breeze.Relax in style! 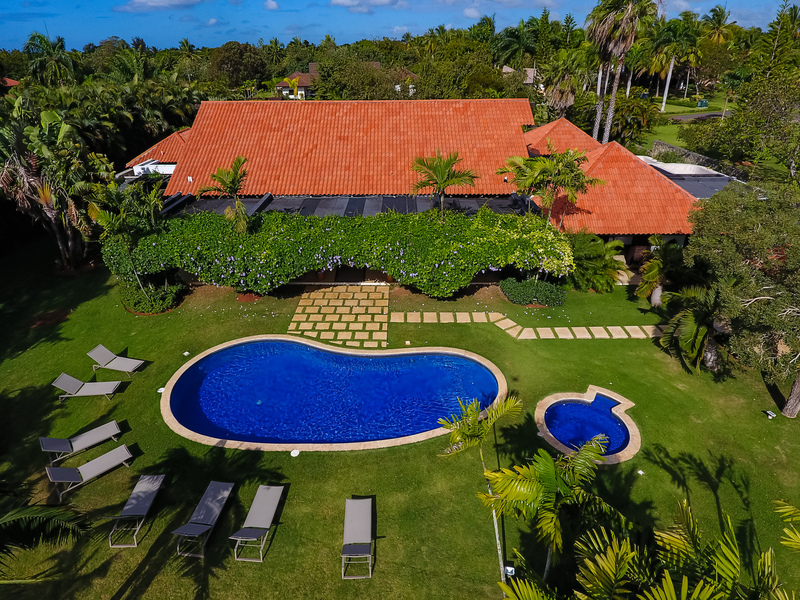 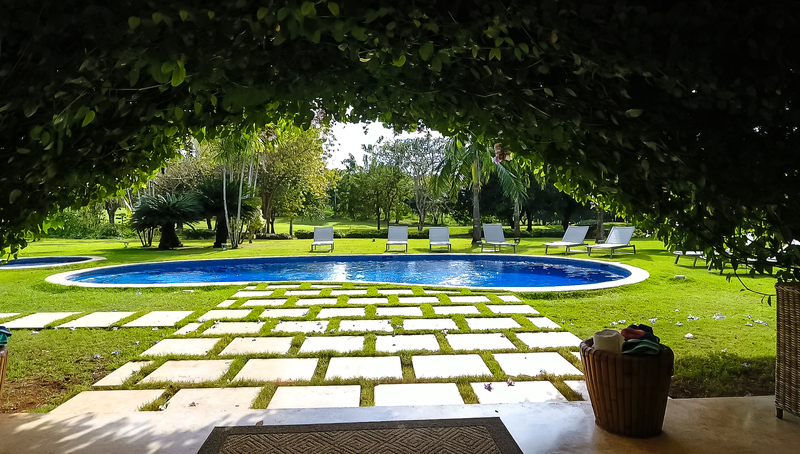 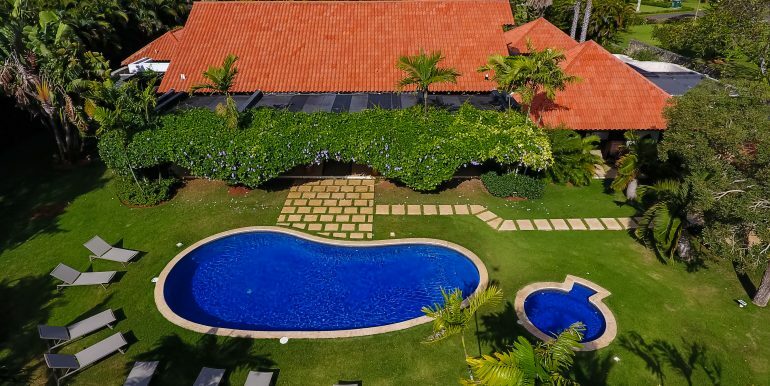 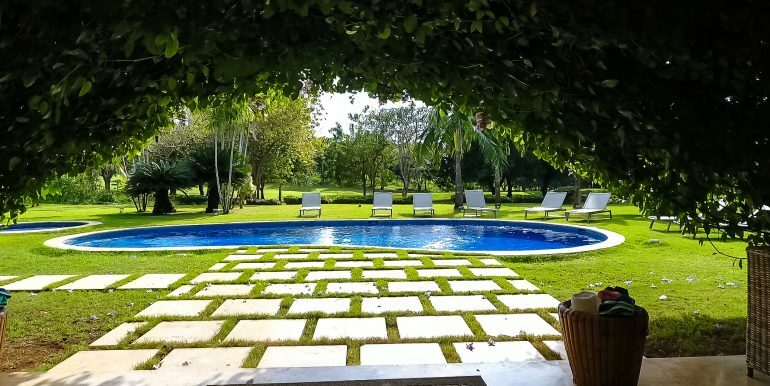 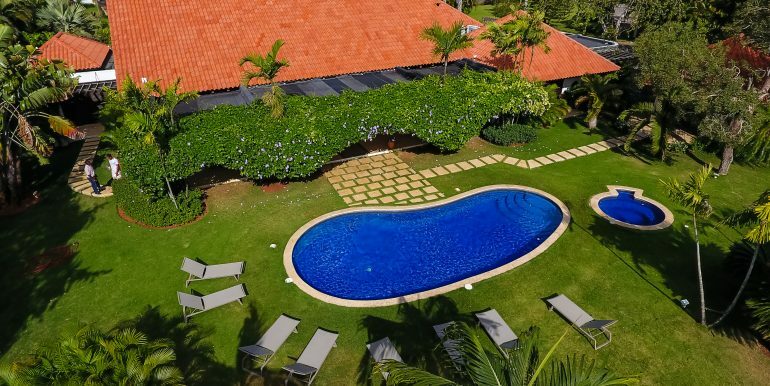 Surrounded by a beautiful tropical garden, where butterflies and hummingbirds are a common sight, the villa boasts a large and exclusive swimming pool and a jacuzzi overlooking the golf course. 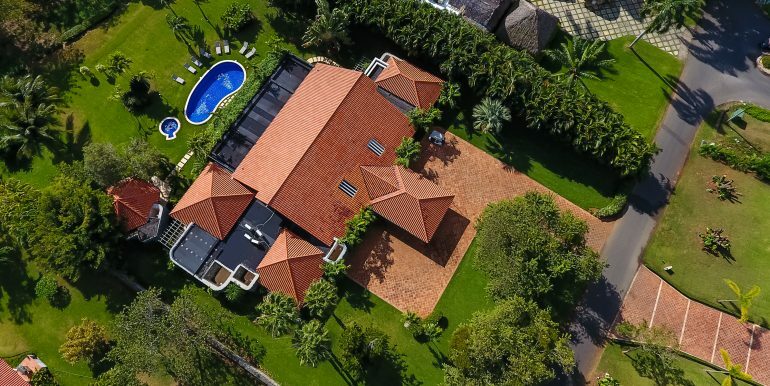 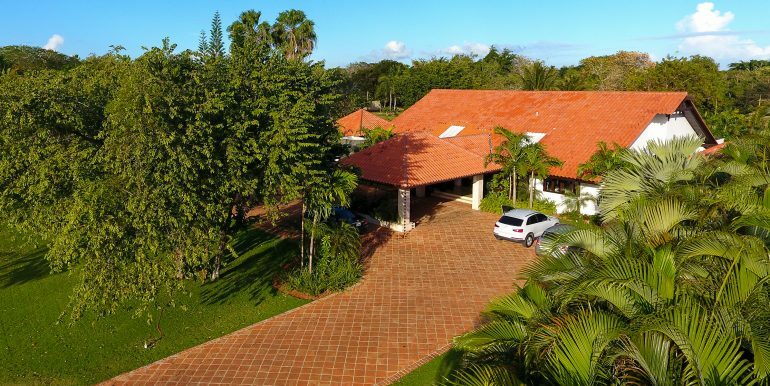 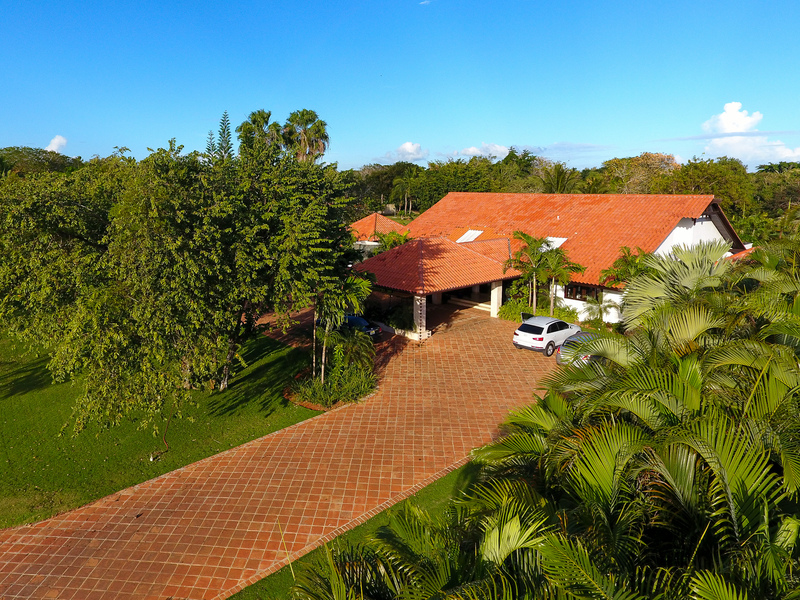 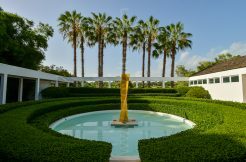 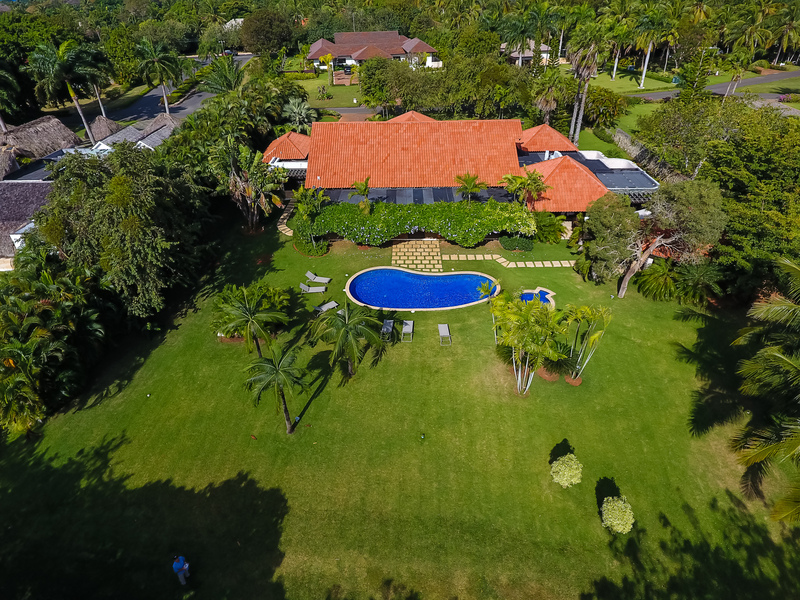 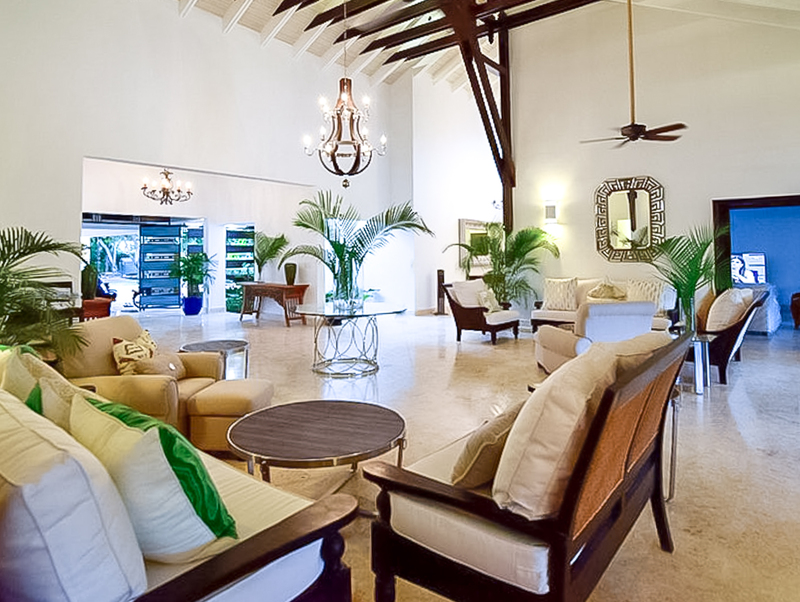 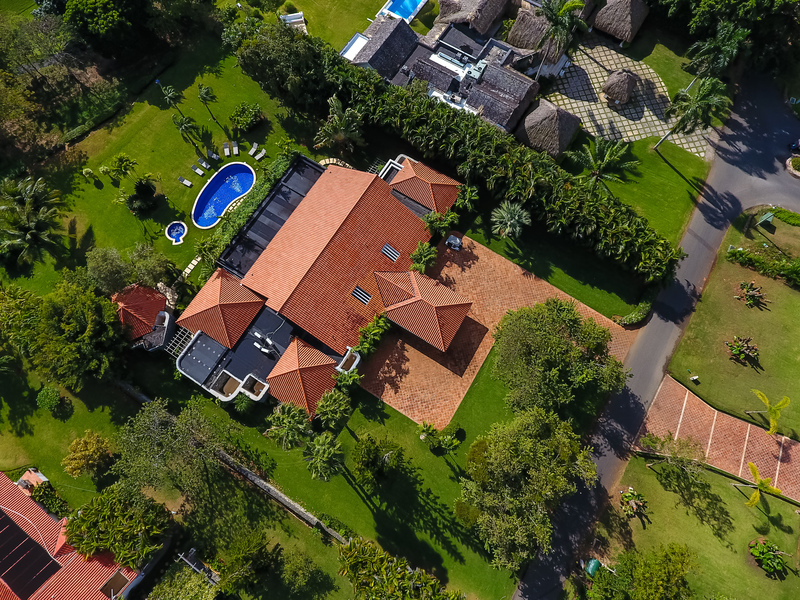 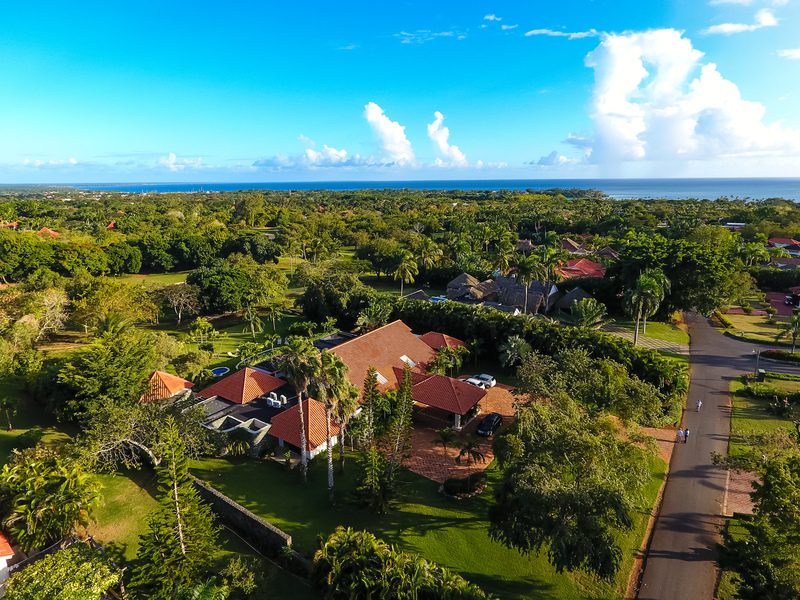 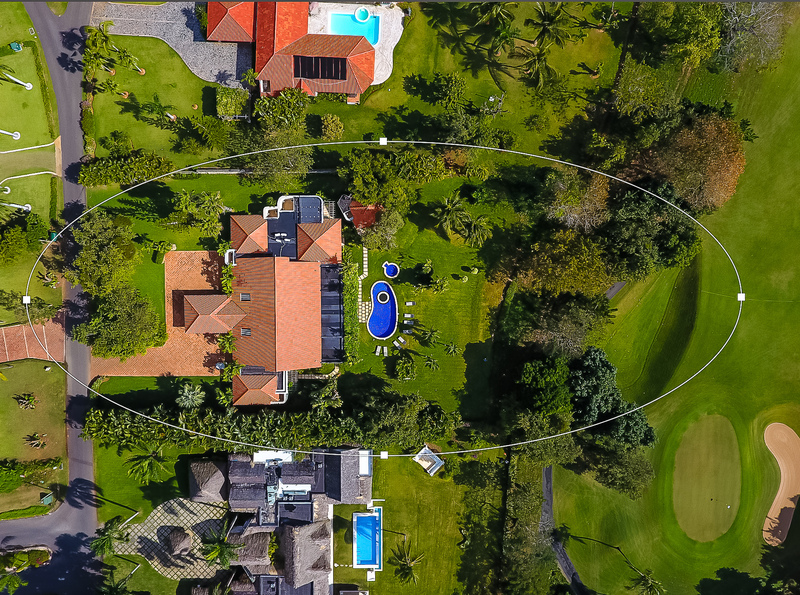 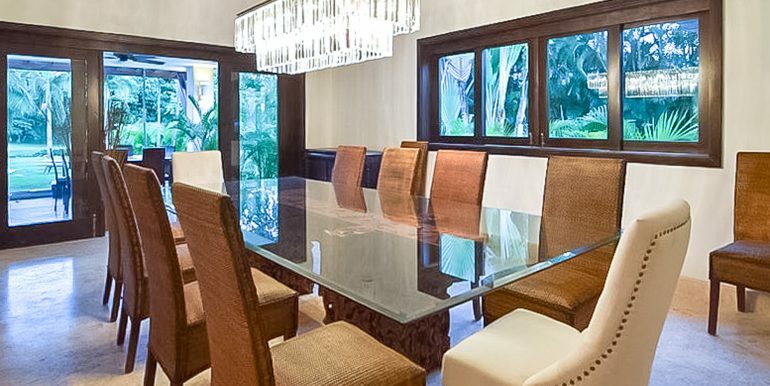 The villa has daily staff to attend to your every need and gives guests full access to the resort’s world-class facilities: golf, tennis courts, Minitas Beach, fitness center, children day camp, and much more. 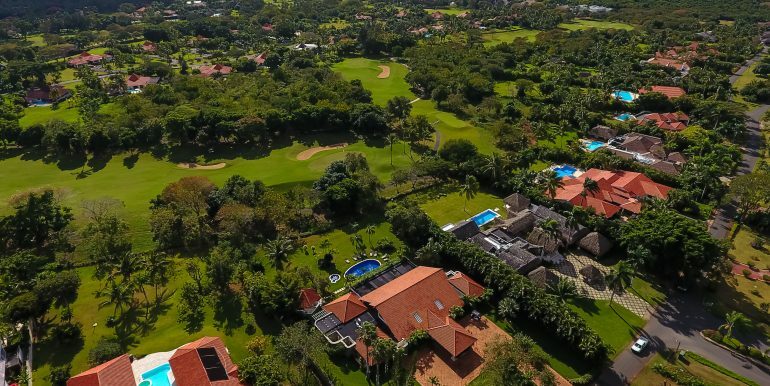 Most people know Casa de Campo for its golf, namely three championship courses by Pete Dye, including The Teeth of the Dog, which is considered his masterpiece. 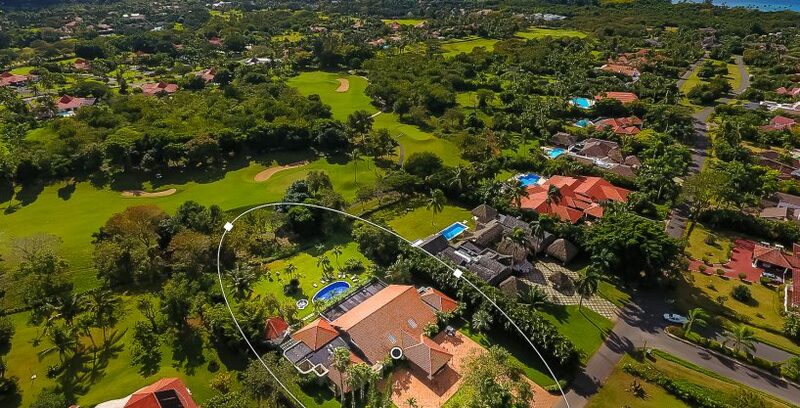 The perfect destination for golf travellers, the resort offers a plethora of activities for everyone, combined with incredible service. 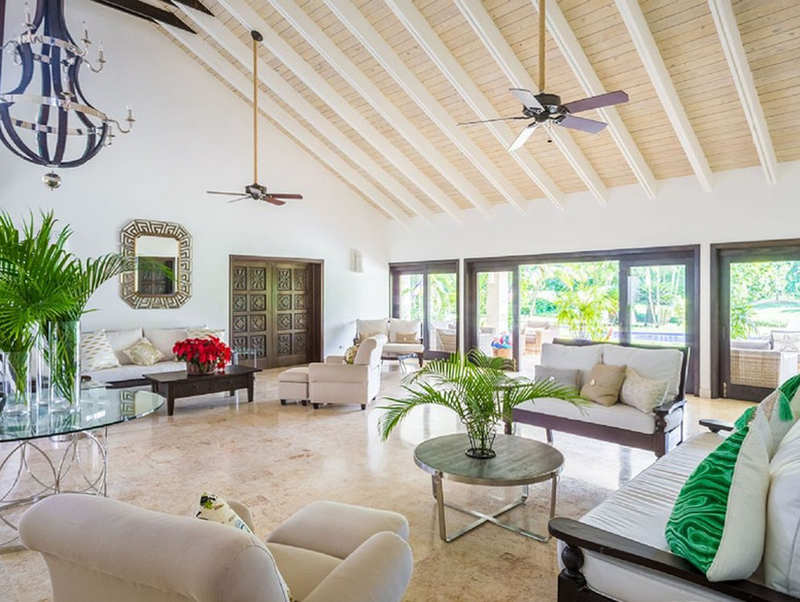 Staying at Villa Mangos, you will have the possibility to be as lazy or constantly occupied as you wish, or some combination of the two. 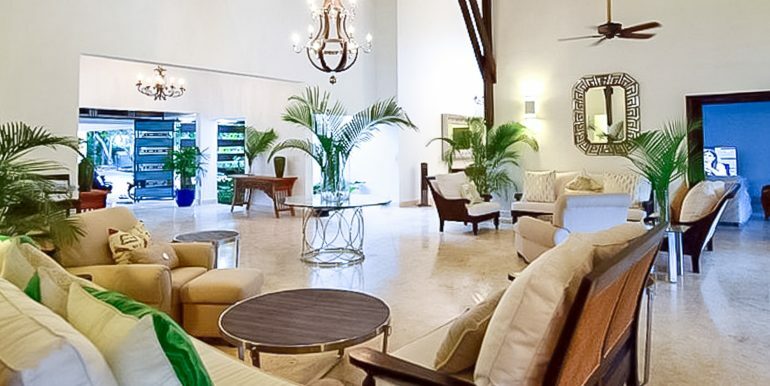 Food or drinks, Transportation or related services, No Golf carts, Washing or Ironing personal clothing.